Comprehensive electrical testing services are essential for the safe operation and maintenance of high-voltage equipment. Thorough checks during manufacturing and installation prevent a variety of regulatory and facility-related issues so that equipment can be commissioned and online as soon as possible. If a problem develops, tests can make an accurate diagnosis that leads to faster repairs. As part of a quarterly and annual maintenance plan, substation testing can prevent potential problems and extend the life of high-voltage equipment. Equisales performs electrical testing during assembly and installation. Field testing services are also available to maintain and repair equipment on an as-needed basis. Our experienced technicians receive advanced training and follow industry best practices to diagnose and repair equipment efficiently. Emergency testing and repair services are ideal for time-critical issues when a fast response is essential to avoid downtime and costly delays. Repairs and maintenance can be competed in the field when possible. Oil processing, vacuum filling, leak correction and re-gasketing can be performed quickly by our technicians. Other repairs that require additional services or remanufacturing will be executed at our state-of-the-art facilities. While work is completed, we can install emergency replacements and short-term rentals that sustain operations. Alternative solutions might be available depending on the nature of the facility and the reported problem. We have the equipment and personnel needed to complete electrical and mechanical testing during installation and maintenance. General inspections and design checks are just as important as equipment-specific procedures for high-voltage transformers, circuit breakers and switches. The following services can be customized for the age and type of facility. Substation configurations are assessed for design compliance. Nameplates are reviewed for voltage and current ratings. Transformer field testing verifies the proper installation of parts and capacitors. 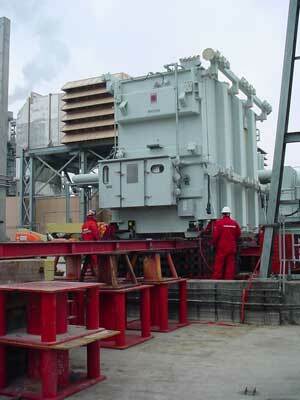 Transformers are tested for operation in extreme temperatures. Internal pressure is monitored for sudden changes. High-voltage connections and terminals are checked for tightness. Isolators, disconnectors and earthing switches are tested for mechanical operation. Gas and oil levels are inspected to verify specifications and pressure. Thermographic imaging and infrared inspections detect leaks and hot spots. Transformer oil and insulating fluids are tested to confirm their dielectric strength. Additional tests must be performed before high-voltage equipment is commissioned and operational. Circuit breakers are tested to verify the minimum current required to operate short-circuit controls. They undergo tests that measure over-voltage endurance, contact resistance, mechanical operation, tightness and gas leakage. Transformers must pass a general inspection as well as tests that measure the insulation resistance, polarity and turns ratio. To request more information about substation testing and equipment calibration, contact Equisales today. We are available 24 hours a day. Call 713-733-3999 to arrange on-site tests.